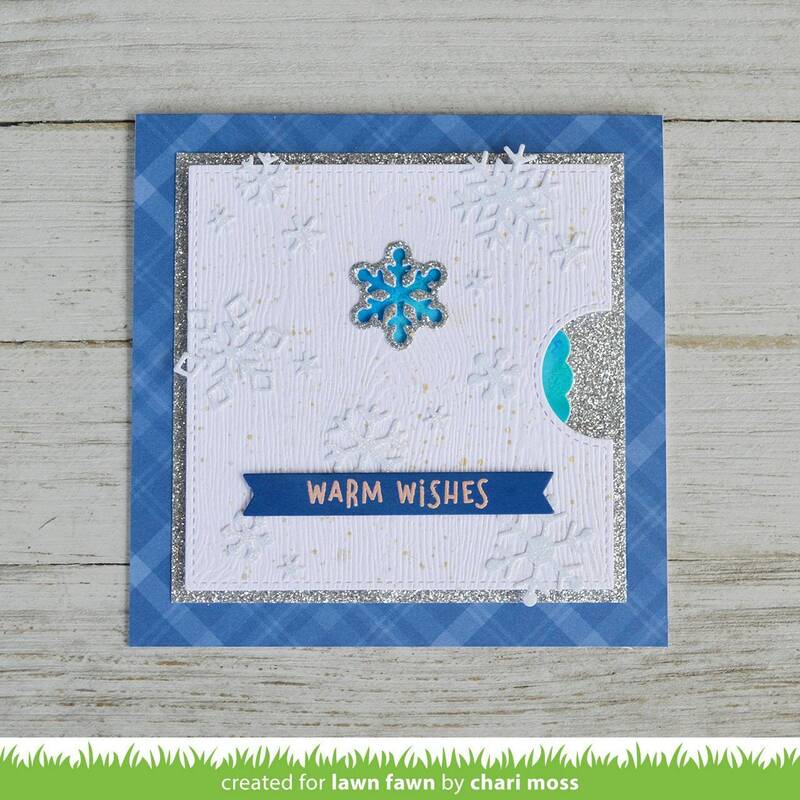 Your Reveal Wheel Lawn Cuts (sold separately) cards will be ready for the winter season when you add the coordinating Snowflake Add-On Reveal Wheel Lawn Cuts Dies by Lawn Fawn. 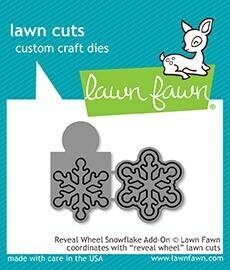 The package includes 2 thin metal dies that are made in the USA. 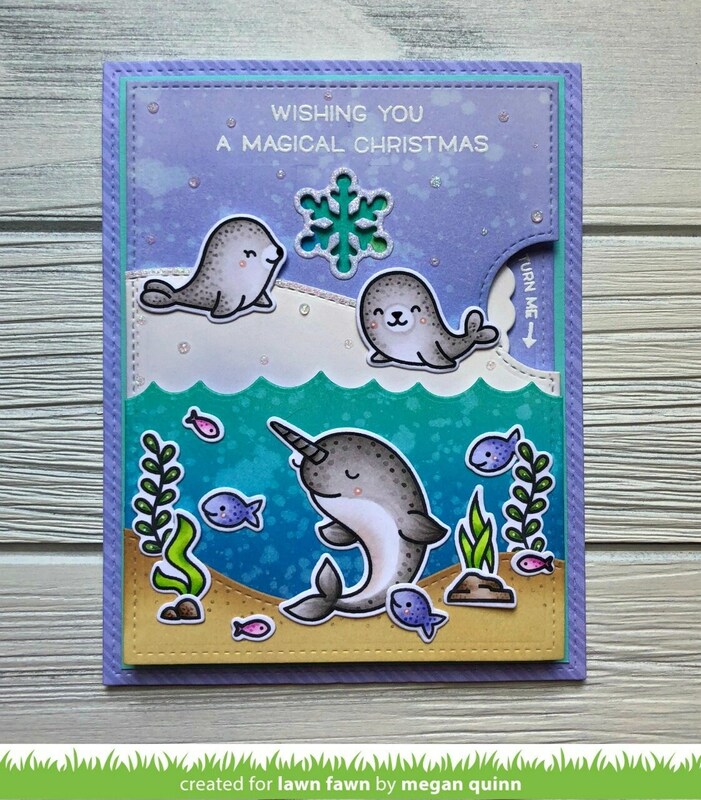 The set can be used with most die cutting machines (sold separately).